Of course you can learn how to walk like a woman, but when faced with a group of people you are suddenly not sure about your posture. And when you talk, you focus so much on talking, your body starts acting masculine. Making an effort to talk, you can no longer pay enough attention to your actions. Trying to do everything at the same time, unfortunately the most likely result is that nothing will work. Girls learn how to walk, talk, and act like women around the age of 12-14. It does not come to them naturally. The way women walk and talk is taught to them by society when they are girls. Do some youtube research on how women in different cultures walk, and you will see what I mean. Seriously, it is fascinating! I am talking about normal women. Some factors like voice and beautiful features are gifts of nature. But the way women tend to behave is learned. From the age of 12-14, girls start copying adult women and study how to be women in their culture. By the age of 18-20 they have grown used to it, and most girls are pretty comfortable with their feminine behavior. Some girls are successful learners and manage to become very cute, charming, popular women, while others never seem to get the hang of it and stay natural and unsophisticated - usually these girls are tomboys. You may go to a fashion designer or a style artist, who can teach you how to walk, talk, swing your arms and move your eyes and other facial features like a woman. But when you need to coordinate all this, you struggle, and this struggle creates an unnatural look or atmosphere. On the outside, you struggle to copy feminine actions, on the inside you struggle to feel like a woman. This creates a stressful situation for you. What you want is to feel feminine, express your femininity, and be perceived as a woman by other people. This is the kind of joy you want to feel when you go out and spend time with other people - you want to put your feminine beauty on display and feel good about yourself. Step back and let your subconscious do whatever it takes for you to walk, talk, act, and feel like a woman. Your subconscious is a much better manager than any CEO. Put your subconscious on auto pilot and let it take all the necessary steps for you. This allows YOU to simply enjoy yourself. They effortlessly walk and talk in a feminine way and enjoy their femininity - which is exactly what you want to achieve. Simply being themselves, they enjoy men fawning over them or giving them inviting looks, and other women thinking of them as competitors. This is how easy it is for women to enjoy themselves - and this is how easy it can be for you. You try to integrate all your knowledge how to walk, talk, and act like a woman into a single unit, but still your subconscious cannot do it. Why? Because you do not actually allow it to take over. This is not your fault. You are simply not trained to do this. The core of gaining confidence is female movements and gestures. But how are you going to do that, no one has taught you how to walk talk like a female. The LipStick Trigger not only automates the process of walking and taking, but you will actually feel the inner woman is taking each step. And this inner woman will guide you subconsciously, without even thinking about it. This one session will change everything you have learned about your feminization. Users have changed the way they get ready, the way they dress up, their whole way of thinking about going out. When you use this trigger you'll deactivate all anxiety and move with confidence. You'll feel confident about your appearance and attitude. So how can you let your subconscious take over? You know how women talk and behave. Your subconscious has seen and memorized it many times and can walk and talk much better than you. But your subconscious has never been given the chance to do it for you. It knows how to walk, talk and feel like a woman. But all this knowledge is splintered into bits and pieces in your subconscious. Sometimes you can walk like a woman, sometimes you can feel like a woman, sometimes you can act like a woman, and sometimes you can talk like a woman. But your subconscious has never had a chance to integrate all this knowledge into a single unit. More importantly, you no longer have to pretend. There is no more pretending once you have an inner woman. People can sense easily when somebody pretends to be something they are not. You know when others pretend to be something they are not. I am not talking about quacks and scammers in the professional world - I am talking about normal people in everyday life. When they pretend, you can tell. The fear of being found out makes you doubt yourself, and feel nervous, making it more likely for you to behave unnaturally. Once this happens, people easily get suspicious. You will no longer doubt yourself. Your self-doubt is the result of a rift in your personality. Once you have built a solid, inner woman, however, there will no longer be a rift. You will be one single person, confident and at peace with yourself. You will be one with your femininity, and this will allow you to finally enjoy your feminine self without doubts or nervousness. The inner joy resulting from this oneness will strengthen the stability of your femininity, and make your womanhood appear naturally, without artificiality or unnecessary effort. Female Movements and gestures: The core of gaining confidence is female movements and gestures. But how are you going to do that, no one has taught you how to walk talk like a female. "Lip Stick Trigger" not only automates the process of walking and taking, but you will actually feel the inner woman is taking each step. And this inner woman will guide you subconsciously, without even thinking about it. Here is what you'll learn with "The Lipstick Trigger"
-Why applying Lipstick becomes an easy trigger in your subconscious mind? -When to apply lipstick? The Lipstick Trigger : This one session will change everything you have learned about your feminization. Users have changed the way they get ready, they way they dress up, their whole way of thinking about going out. When you use this trigger you'll deactivate all anxiety and move with confidence. You'll feel confident about your appearance and attitude. 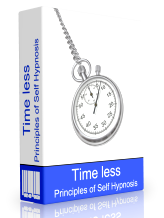 Time Less Principals of Self Hypnosis: Most hypnosis packs are created without any guidance and there is no how to when to what to. Plus they take for granted that everyone knows the fundamentals of using hypnotherapy sessions and they don't even discus that. The core of gaining confidence is female movements and gestures. But how are you going to do that, no one has taught you how to walk talk like a female. "Lip Stick Trigger" not only automates the process of walking and taking, but you will actually feel the inner woman is taking each step. And this inner woman will guide you subconsciously, without even thinking about it. With "The LipStick Trigger" session Users have changed the way they get ready, the way they dress up, their whole way of thinking about going out.